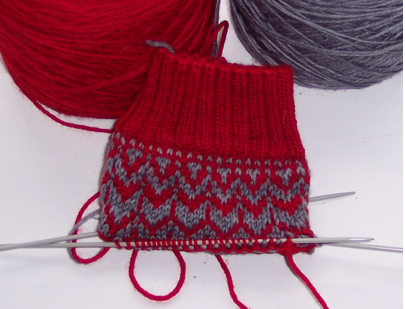 Yes, it’s August, so I am knitting socks. The Laughing Cat has been temporarily set aside for some serious sock knitting. I started a pair on August 1st using some of my hand-dyed Knit Picks Bare sock yarn. 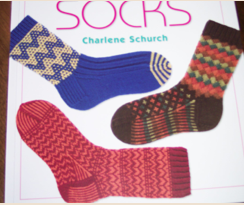 The pattern is Arches from Charlene Schurch’s book More Sensational Knitted Socks. It’s the sock at the bottom of the picture. Since I am making these socks in scarlet and gray for cousin Vickie, who is an Ohio State fanatic and a lover of hand-knitted socks, I call them Buckeye Arches. I used to hate to do stranded knitting. All that dropping and picking up of the different colors, and untwisting the strands that got hopelessly tangled up with each other drove me nuts. But since I taught myself to strand with two hands–one stand of yarn in the right hand, the other in the left–I have fallen in love with it. Although it looks like stranded knitting would take forever, it really goes rather quickly. 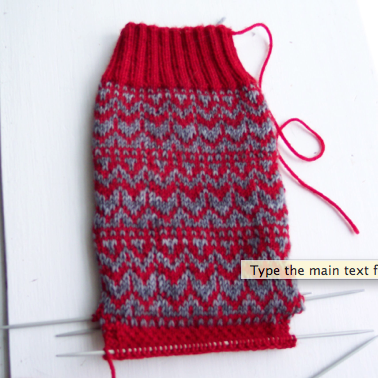 See how much progress I’ve made in just three days of working on this sock? 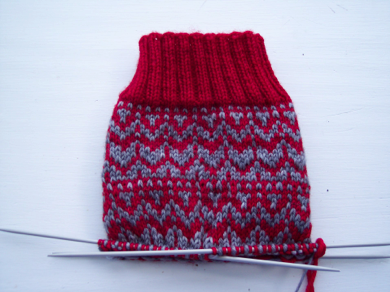 I’ve already started the heel flap. That’s an eye-of-partidge (EOP) heel, btw. I hope to get the heel turned tonight, and the gusset stitches picked up, and maybe even get a few rounds of the foot under my belt.